The PhD programme „Online Participation“ is funded by the North Rhine-Westphalian funding scheme “Fortschrittskollegs” and brings together scientists from the field of Computer Science, Business Studies, Law, Sociology, Communication Studies and Political Science as well as a large number of practitioners to investigate the opportunities the internet offers to involve citizens in the making of political and administrative decisions that affect them. To address this guiding question, more than a dozen PhD students together with the research staff of the programme work on a trans- and multidisciplinary basis. The programme was launched officially in October of 2014. 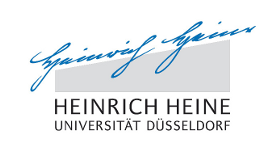 The PhD programme is organized by the Heinrich Heine University of Düsseldorf in cooperation with the University of Applied Sciences for Public Administration of North Rhine-Westphalia.